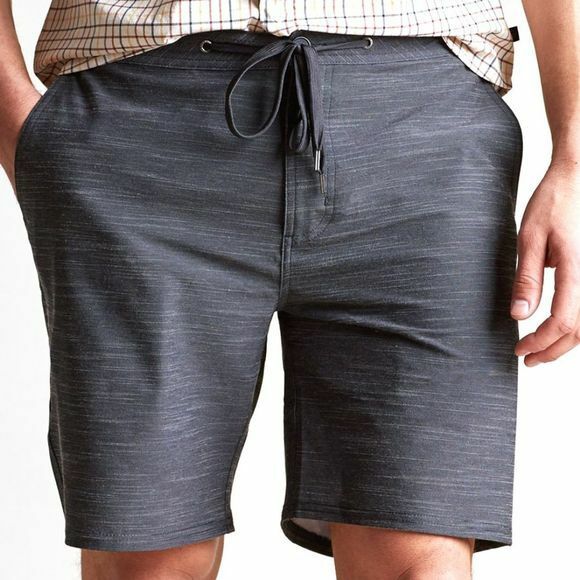 The Mens Hoy Short from United By Blue is your secret boardshort. Wears like a casual athletic short, but has the quick-dry capability of your favorite bathing suit. Knit with incredibly strong cation yarns, keeping your shorts resistant to rips or tears. United By Blue was founded in 2010 out of a desire to preserve the places where we play. Instead of writing checks or accepting donations, UBB’s founders sought to make a real, tangible impact on our oceans — and there are few things more tangible than hauling tires out of riverbeds or picking up plastic bottles along the shoreline. United By Blue’s line has expanded from a handful of organic cotton tees to a full line of responsible, durable goods — apparel, bags, and accessories for people who care about the outdoors. In keeping with their conservation mission, each product is made with sustainable materials (including organic cotton, recycled polyester, and bison fiber) and built to last.